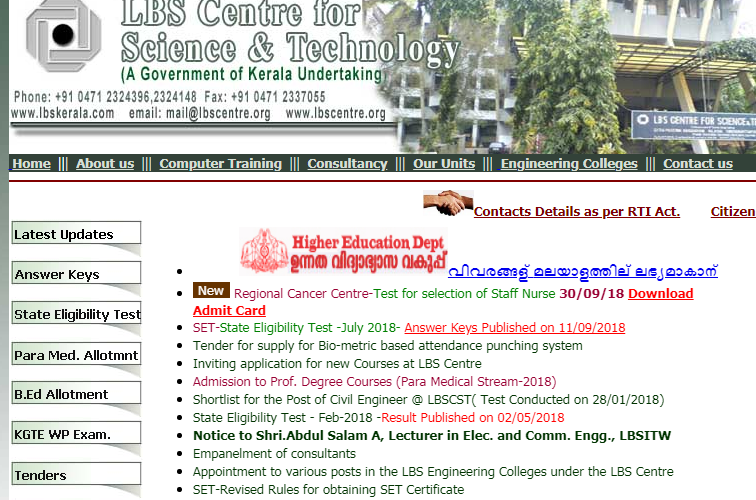 LBS Paramedical Admission 2018: Kerala B.Sc Nursing Application Form – Just to let you know, according to an official website of LBC Centre for Science and Technology – https://www.lbscentre.in, Professional Degree Courses (Nursing, MLT and Paramedical Courses) – 2018, Option registration for the first allotment started. 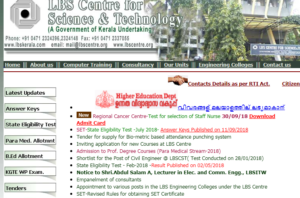 List of Institutions conducting various courses, No.of Seats, Fees is published in the website. Degree courses in which LBS Paramedical Admission & other courses Admissions occurs are professional degree courses in Nursing and Paramedical Streams, Bachelor of Science – Nursing (BSc Nursing), Bachelor of Science – Medical Laboratory Technology (B. Sc. (MLT)), Bachelor of Science – Perfusion Technology, Bachelor of Science – Medical Radiological Technology, Bachelor of Science – Optometry, Bachelor of Physiotherapy, Bachelor in Audiology and Speech-Language Pathology, Bachelor of Cardiovascular Technology, Only for Self Financing Colleges. Keeping Admission procedure in mind, there is some minimum required Age limit criteria in which as on 31st December 2018, any appearing candidate should have completed the minimum age limit criteria i.e. 17 years old. While, keeping the same date as reference i.e. 31st December 2018, Bachelor of Science Nursing, Bachelor of Science MLT and Bachelor of Science Optometry has got age limit but only for under service quota candidates i.e. maximum age limit should be 46 years old or under service quota aspirants.